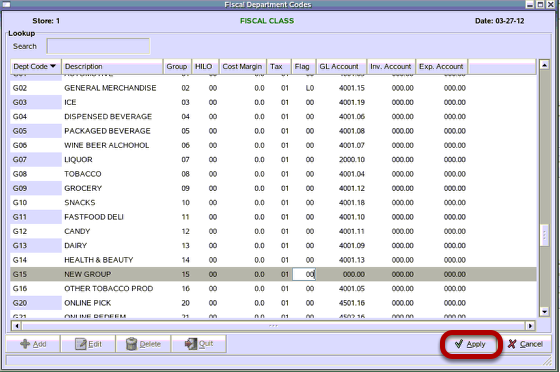 TravStar1 Point Of Sale SystemManager's Work Station Getting StartedHow Do I Add a New Department Group? How Do I Add a New Department Group? This lesson will teach you how to add a new department group. To add a new department group, click on the "Add" button located at the bottom of the Department Codes Screen. From the Select Add Type screen, click on the Add Dept Group option. Then click the "OK" button. From the Add New Group screen, type in 2 digit number used to identify the department. There can be up to 99 groups. Make sure the new group number does not already exist. Then click the "OK" button. Your new department group shows up in the department lookup screen and is highlighted grey. 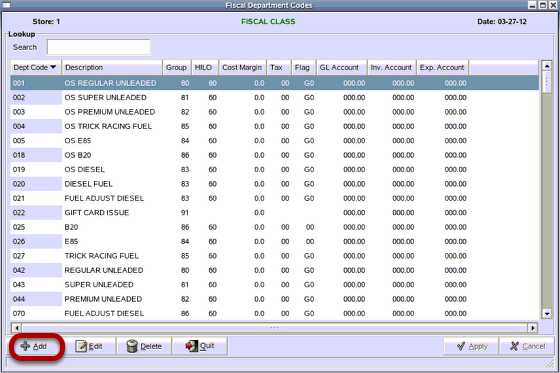 Click in each field for the newly created department group and type in a description, group, HILO, Cost Margin, Tax, Flag, GL Account, Inv. Account, Exp. Account for the new department group. The group number should match the group in department group number. For additional information on department fields, please see What Are Department Fields? Once all fields have been entered, click the "Apply" button. Prev: How Do I Add a New Department? 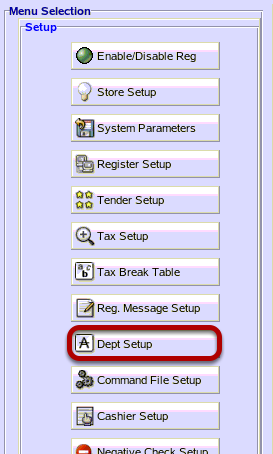 Next: How Do I Send Departments to the Register?